Our first Speyside malt whisky. The smells of over ripe red apples, chocolate and spicy winter fruits this dram certainly did not disappoint on the nose. Mouth coating and long lasting this sherried dram had undertones of beeswax and hazelnuts throughout. With the addition of water you would bring out flavours of dried figs and honey. With a big and spicy finish this whisky did not disappoint. The Benrinnes Distillery was founded in in 1835 and is located in Banffshire. It was completely rebuilt in 1955/1956 due to a flood and it is one of the few distilleries in Scotland that still uses so-called 'worm tubs' to cool the vapours and condensed spirit from the running stills. This feature was once common, but not anymore. The water sources are the Scurran and Rowantree Burns. This Benrinnes was from a single Sherry cask and sold out January 2014. 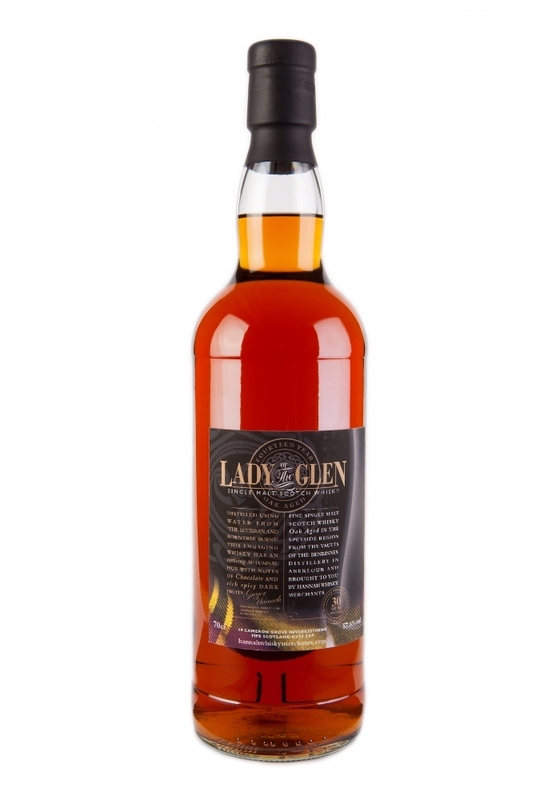 Miss Whisky Blog "really fruity with apple, peach, fig and milke Chocolate notes"
Edinburgh Whisky Blog "this dram has balls! Quite spicy with cinnamon and white pepper then a meaty note before a rich sweetness kicks in"